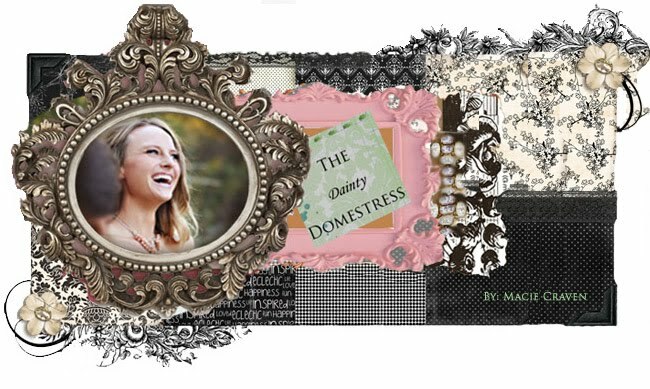 The Dainty Domestress: Don't Throw Winter Out With The Holiday Decorations! Don't Throw Winter Out With The Holiday Decorations! I find this time of year can be exceptionally depressing, and really, with the effort we put into parties, decorations, presents, etcetera, etcetera with the holiday season it should be a little bare and lonely after all the whirling hubbub of the season has ceased. So, I propose we find a way to embrace this cold, post holiday season. Something that has worked for me is leaving touches of the holidays that do not scream "I refuse to take down my decorations!" around the house. Part of what makes this season gloomy is a recently bustling, bare house. Notice in the picture above. This is just a decorative bowl I keep on the mantle year round. I intentionally chose to place green decorative balls inside so they will work with all seasons. Also, observe the seasonal additives, or leftovers, however you like to look at it. Most of the greenery has dried to the point of a fire-hazzard, but breaking off pieces of your evergreen swags before throwing them out keeps the house still feeling homey. Keep the pinecones too. Keep all the decorations that look winter, just not Christmas. Easy into the bare-dom of spring slowly...it will help keep your spirits up. Don't Forget Your Great Decorating Ideas!